All orders are shipped via USPS Priority Mail. Your cart will automatically factor shipping costs as you proceed through checkout. Please allow 1-2 business days from date of purchase for processing and shipping. Once shipped, please allow 5-7 business days for delivery. Westerly Commons ships worldwide via USPS International Priority mail. Your cart will automatically factor shipping costs as you proceed through checkout. Please allow 1-2 business days from date of purchase for processing and shipping. Please allow 1-2 weeks from time of shipment for delivery. Please note Westerly Commons is not responsible for any Duty, VAT (Value Added Tax), or additional taxes charged by your respective country's customs office. Westerly Commons cannot be held responsible for lost packages. All credit card (Visa, MasterCard, American Express, Discover) transactions are handled through PayPal which is a well-known, trusted, and secure company. You do not need a PayPal account to make a purchase on Westerly Commons. Returns and exchanges are allowed within 7 days from time of delivery. Item(s) must remain in brand new reselling condition, unused, and unwashed. Please let us know of your return/exchange right away at info@westerlycommons.com and please use “return/exchange” in the subject line so that we may accommodate you in the best and quickest way possible. 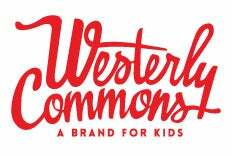 Please inquire at info@westerlycommons.com and please use “wholesale” in the subject line.